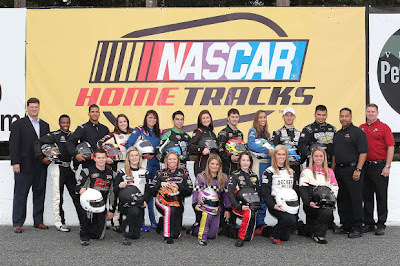 DAYTONA BEACH, Fla. (June 4, 2013) – Rising stars Kyle Larson and Darrell Wallace Jr. capitalized on their opportunity under the NASCAR Drive for Diversity (D4D) banner, and now enjoy regular success in NASCAR’s national series. Soon, the next generation of talent will be welcomed – and that process starts now. Applications are being accepted online for the NASCAR D4D Combine until Aug. 26. To access the application, please visit http://revracing.net/combine-application. Larson (@KyleLarsonRacin) and Wallace (@BubbaWallace), both competing in their rookie seasons in the NASCAR Nationwide Series and NASCAR Camping World Truck Series respectively, participated in the program after being selected at the annual NASCAR D4D Combine. The application for the annual Combine is the first phase of the selection process for the NASCAR D4D program. The Combine evaluation process consists of five elements: physical fitness, driver resume, media aptitude, driver communications/knowledge and driving skills on and off track. The next NASCAR Sprint Cup Series race will be the Party in the Poconos 400 at Pocono Raceway on June 9 at 1 p.m. ET, broadcast on TNT, Motor Racing Network Radio and Sirius XM Satellite Radio with additional coverage on NASCAR.COM.